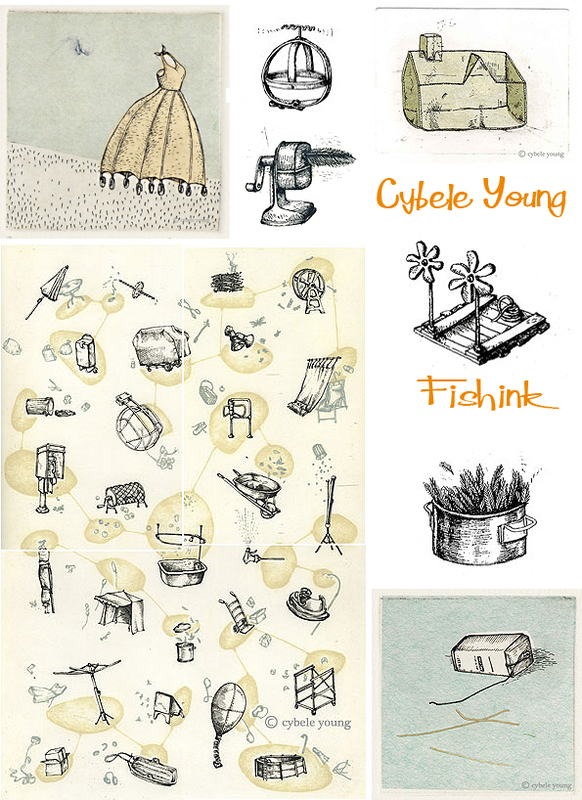 Cybele Young is an artist who after studying Sculpture and Printmaking at the Ontario College of Art and Design, has taken Japanese Washi papers to new limits. 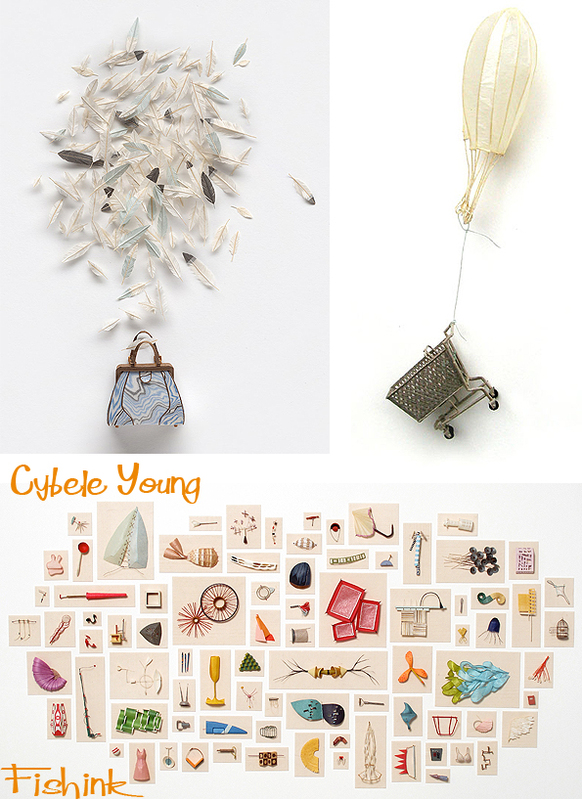 Cybele finds herself inspired by mundane everyday situations which spring into life through her delicate sculptural creations. 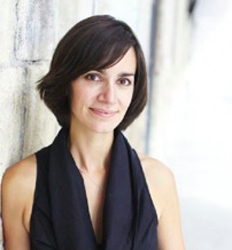 Her individual pieces get combined into new ‘communities’ which are placed together to interact and make fresh relationships, not unlike how seemingly insignificant moments in our day can come together to form unexpected outcomes. 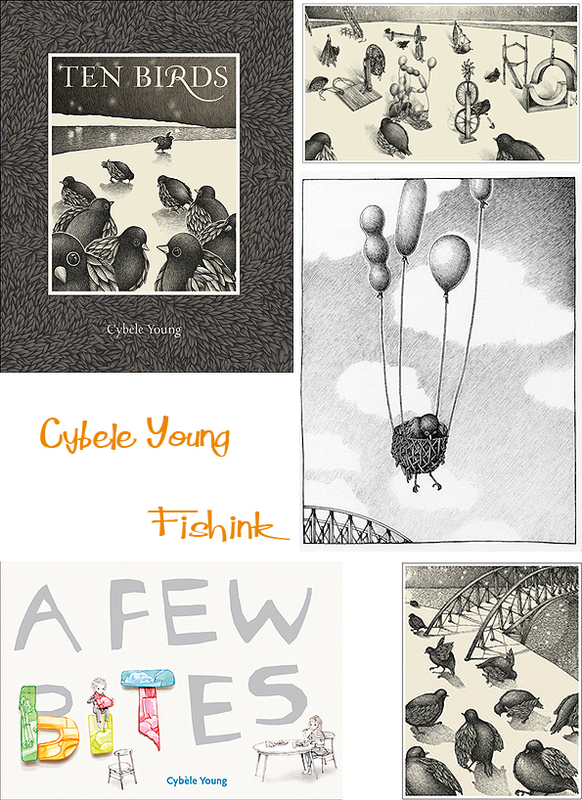 Two years ago Cybele won the Governor General’s Award for Children’s Illustration for her book ‘Ten Birds’. 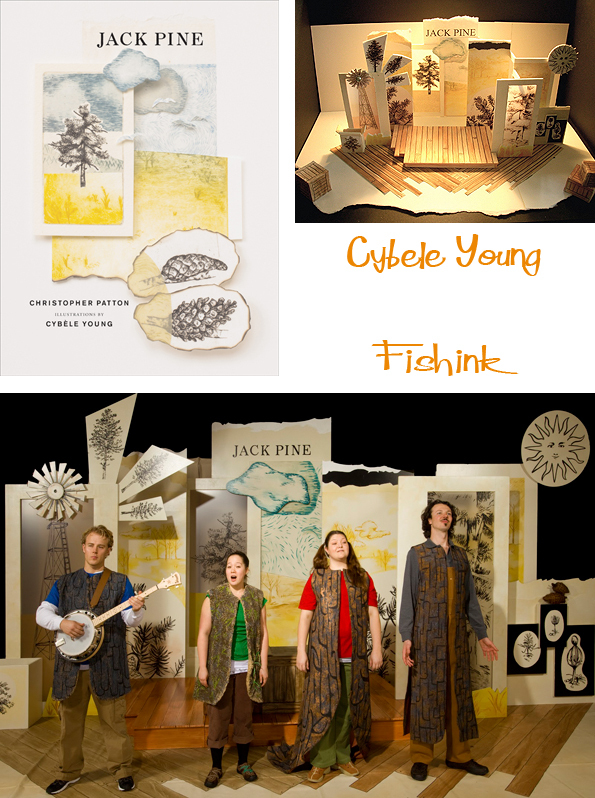 She also illustrated ‘Jack Pine’ , the picture book by Christopher Patton, upon which a children’s opera was written. We can marvel at the detail and intricacy in her work and I love her small video moments of the pieces moving about seemingly of their own accord. This one is called ‘Fated Compositions’ because each sculpture ends it’s 3-D life by going through a press. 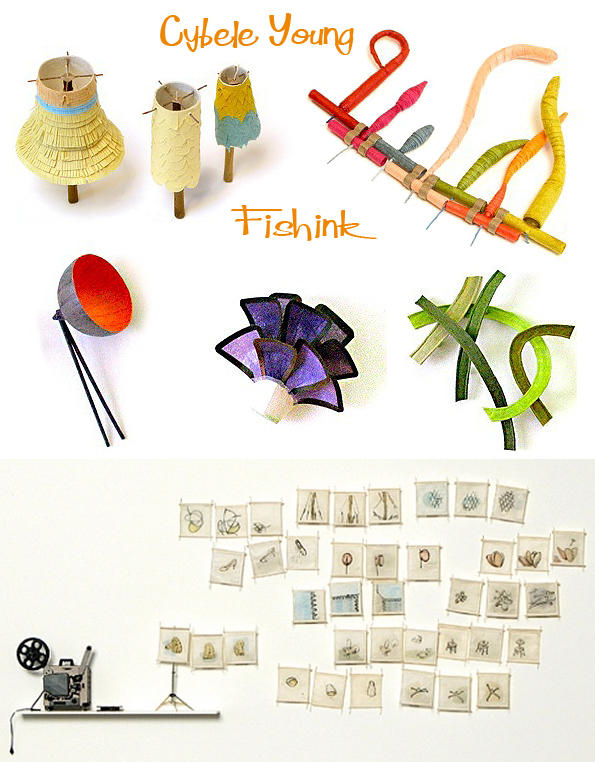 and here are few more of her films, some etchings and some final Japanese Washi pieces. 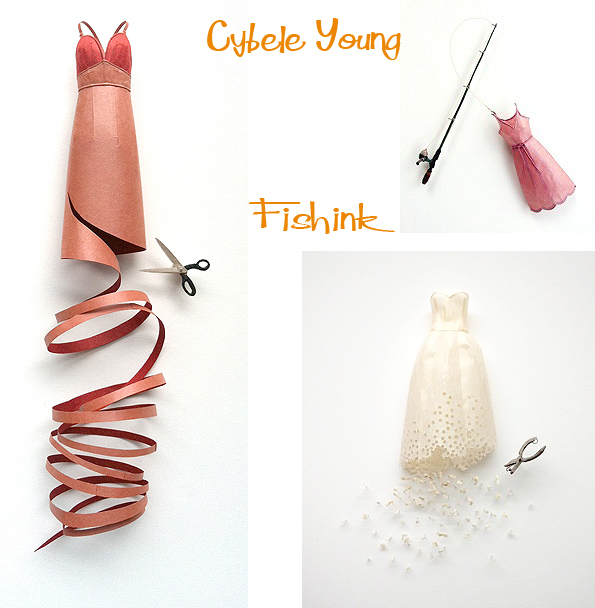 ← Fishink Bits n Bobs. A talent indeed. Thanks for your comments Betsy. 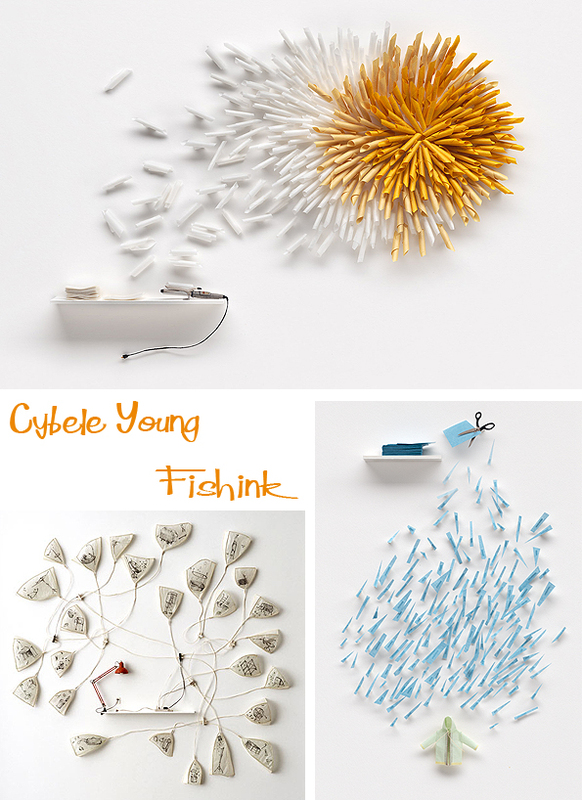 Thank you Fishink! Such a great job of showcasing my work. I feel honoured being in such great company.